California is burning, and it’s all too much. One day a dozen people are gunned down a couple of miles from my home during a college country music night, and the next day fires erupt on both sides of me. Lives and homes are turned to ash while politicians point fingers of blame. I’m still under a mandatory evacuation order, as the Woolsey Fire rampages through my portion of the California dream. I have heard my house is safe, so far. Fortunately, I have a temporary set-up that’s working as well as possible from the inside of a van. Tiffany, who has worked for the Deborah King Center for a decade, has lost her home. You can help Tiffany get back on her feet here. 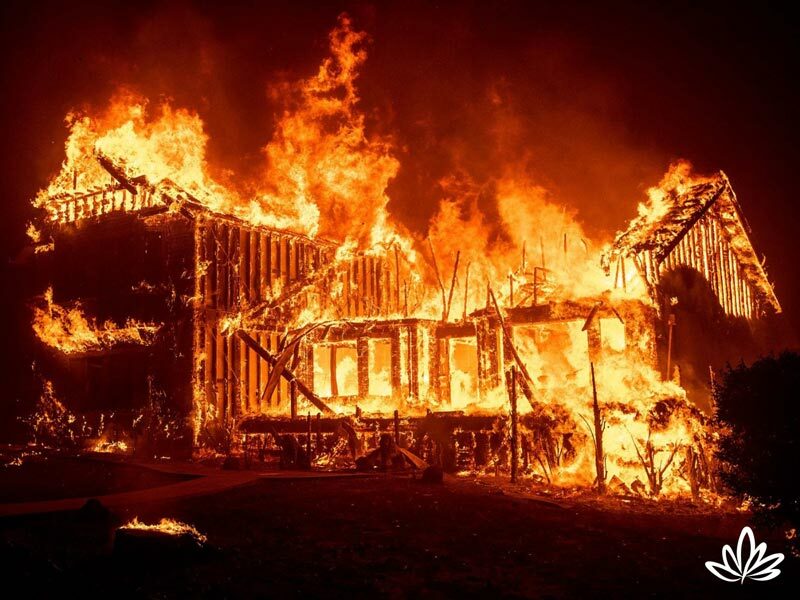 My heart bleeds for the sorrow and loss so many are experiencing—sometimes loss upon loss: a loved one murdered while dancing followed by the loss of a roof over your head and all your belongings going up in smoke. Think for a moment. What would you take given less than five minutes to pack and evacuate before the flames reach you? Without a doubt, after securing “everything with a heartbeat,” your phone and laptop are at the top of your list of inanimate necessities, even before underwear and a toothbrush. But you can’t be too attached to anything or you won’t get away in time. It’s far too much to think about for being cremated in a car like those poor folks in the Camp Fire in Paradise. Those images will continue to haunt us all. Fire has to be respected. And so does air—the autumn Santa Ana winds that fan the flames and send sparks and cinders in all directions. And water, that life-saving element that can douse the flames. And earth—the poor scorched landscape that actually needs fire to regenerate. And ether, the most subtle of the elements, the space filled by the other elements. We have lost touch with the elemental parts of our lives. Each element is vital to our life. When we die, there is a progression of how each element leaves our body until we exhale that very last breath of air. But what we are seeing these days is “it’s all too much” in terms of the elements. Fire, which gives us energy and transformation, explodes in massive firestorms. Air and water, necessities in life, become deadly hurricanes and widespread flooding. The earth is telling us something, but are we listening? The clock is running down before climate change turns our world yet more inhospitable. It’s too much really. It’s hard to take it all in: the death from guns, the death from fires, the death of the way in which we used to know our planet. There is a silver lining, however. When there is a disaster, like the wind-driven blazes we are experiencing here in California, for a moment in time all hearts beat as one. Doors open and strangers are invited in. The ordinary becomes the extraordinary and heroes arise. A drive someone has taken every day of their life suddenly becomes a passage through the inferno of hell, while singing to a child in the back seat to keep her calm, and those who watch the video have to be hard-hearted indeed if tears of compassion don’t well up and spill over. Help Tiffany – giving a hand to one person is giving to all. Donate to the Wildfire Relief Fund, a California Community Foundation. If you are in the local area, volunteer to help. Go to ca.gov to learn where your services might be best put to use. If you want to sign up to host emergency shelter in your home, the Airbnb Evacuee Program for the survivors of the fires in Ventura, Butte, Los Angeles, Santa Barbara, and San Diego counties is looking for temporary housing through November 29th. If lost and frightened animals call out to you, the Humane Society of Ventura County needs your support. Don’t forget these valiant firefighters who risk their lives and their health for our safety. Donate to the California Fire Foundation to provide emotional and financial assistance to families of fallen firefighters and to victims of the fires. Over 50 firefighters have lost their homes in Butte County, and yet they are still out there battling to save others’ homes. And the Disaster Relief Fund of the International Association of Fire Fighters helps those on the front lines and their families. We really are all in this together. Today it’s us here in California. Tomorrow it could be your neck of the woods, your loved ones, your home, your life. Give something, do something; be part of the change for the better.